This is a wonderful 18 page Ebook filled with over 100 ideas for staging a Real sized Hot Cocoa and Dessert Station. 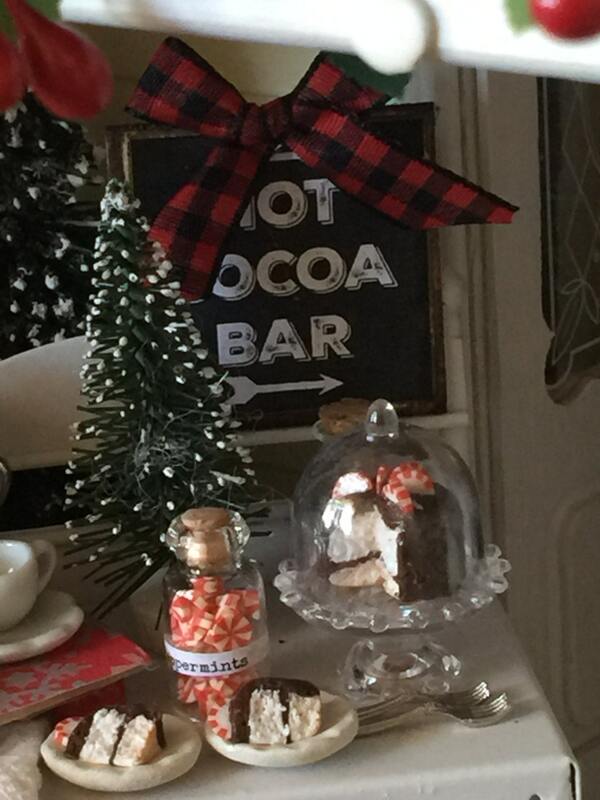 I decided to combine all my ideas for creating Hot Cocoa Stations and it ended up being so many I had to create this Ebook to fit them all in. . 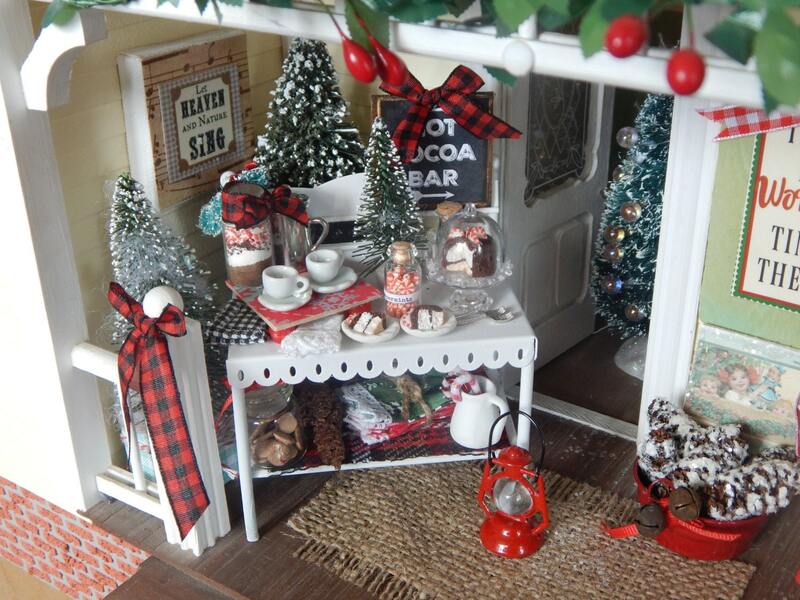 The book is filled with pictures from my miniature Hot Cocoa Stations and my Hot Cocoa and Drink Stations I use in my real Farmhouse Home. It is a blend of what I do. We have many guests, friends and family over during the winter months. Our Farmhouse is big and the kitchen is a wonderful area for entertaining. Years ago we set up an area on my Hoosier for drinks when guests came. We also added an area on our back porch to set up a Drink Station for guests when they come and everyone is outside enjoying being together. 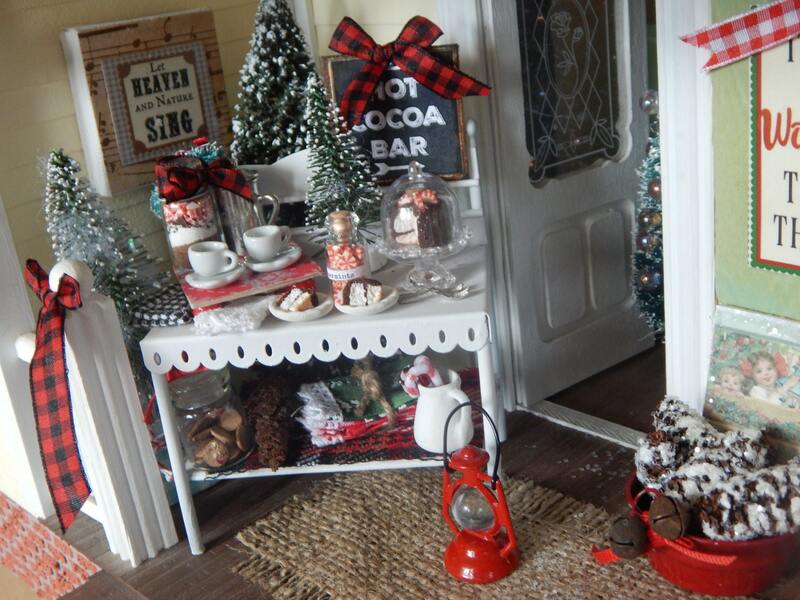 From Simple ideas to more Festive decorating ideas using themes and seasonal decor, I share with you a wealth of ideas for decorating and staging the Hot Cocoa Station. The pictures of the miniatures are an added feature, but are actually replicas of real settings I have done. 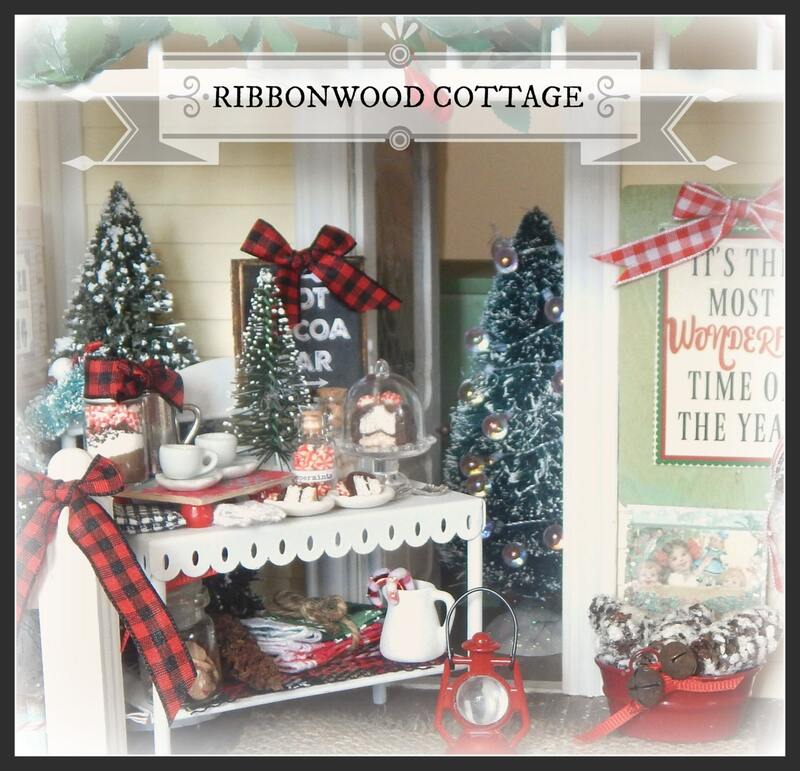 There are themes in this Ebook-Shabby White Winter Wonderland, Woodland + Rustic, Pastel Themed set up and Red and White with Vintage touches. I share all my ideas for setting up a wonderful display using found items at home, vintage and distressed Shabby items or new items. Whatever your budget, once you read this book you'll be ready to put your Drink Station together. Easy decorating ideas. Simple solutions to placing items for an eye appealing table. I even cover how to have taller items strategically placed like you would when decorating a Fireplace mantel or other Vignette that everyone sees. There are ideas from Interior Decorators, and basic ideas that will help make this a wonderful looking Station. You know the kind that you see and your mouth drops open and you think, "I'd like to recreate that at home!". This Ebook will give you ideas so that you will be able to put it all together and keep it that way till you are ready to take it down. The ideas in this Ebook are also helpful if you are just wanting to set up a basic coffee bar, or other drink station. I have also added a page of Hot Cocoa Station Printables for making a little 4" x 4" Hot cocoa sign using an artist canvas that you purchase. Basic Decoupaging. 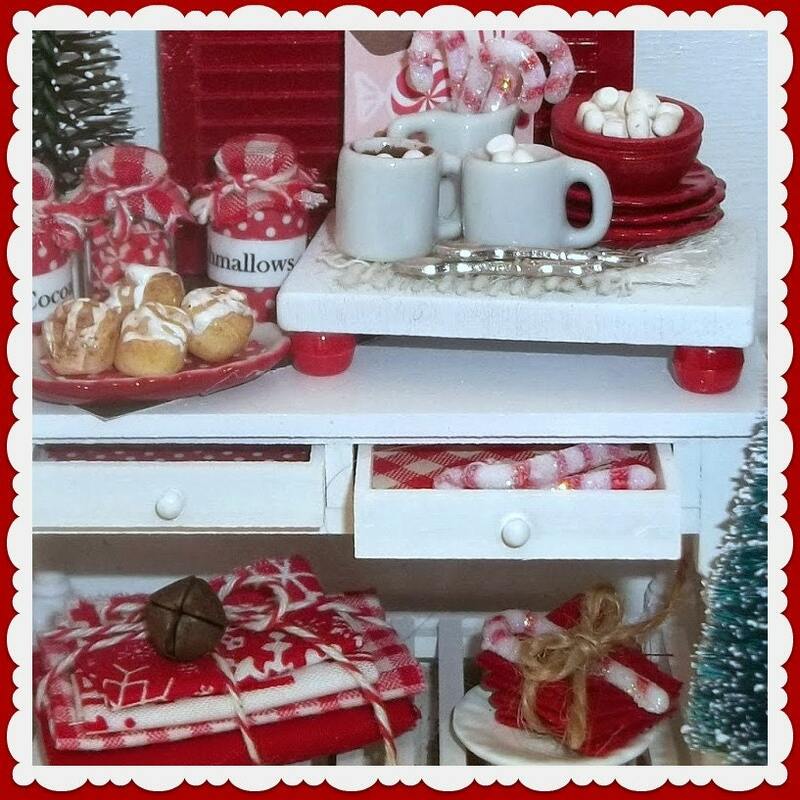 ****This is not a physical Hot Cocoa Station or pattern but an Ebook with pictures and over 100 ideas to replicate and make a Hot Cocoa Drink Station of your own. You are not receiving anything physical in the mail. The key is to enjoy the finished set up and make it as easy as possible for decorating and serving guests. This is an instant download pattern. You will not receive any patterns in the mail. So many fun ideas and great to have it all in one handy spot for reference! Blessed to receive this gift.